Eko Dialogue—a novella written by Joy Isi Bewaji in 2008 and adapted for the stage by Crown Troupe of Africa in 2014—is so enjoyable I have seen it two out of two times it has been performed. It is a Lagos story that trumps all other Lagos stories, a fast-paced telling (and showing) of the peculiar lifestyle and social dynamics that are a daily reality in Nigeria’s commercial and artistic capital. When I first see the play, I walk into the venue (Forks & Fingers, Ikeja) at the point near the beginning when the actors are rehashing an encounter in a Danfo or Molue: a passenger is demanding for his change and the conductor doesn’t have it; both men blow hot and cold and before too long the situation turns violent, leaving the passenger, decently dressed and obviously headed to an office, roughened up and cursing angrily. It is a scene most Lagosians can relate with and the audience laughed. The play then follows up with one familiar scenario after the other, depicting the stories of stressed up residents who wake up at 4am, “stumble into semi-darkness and leap into anarchy like everyone else” on the way to work; of smart street traders skilled at sweet talking customers for a good bargain; of unemployed youths desperate to fill any job opening, even if it’s the lowly position of a clerk; of carefree motorcyclists driving wildly and a good measure of gossip. The Lagos of Eko Dialogue is a Lagos of lavish parties thrown by the ‘big’ boys and girls who have hit it big; a Lagos of trendy residents who stretch their earning and rack up debts in the thousands of Naira on designer dresses just to look “up-to-the-minute”; and a Lagos of stressed up couples who vent at the slightest opportunity. One of the most evocative scenes of the play shows the strain that living in a busy city like Lagos can bring on residents and how the typical nuclear family struggles to keep up with the day-to-day challenges. “I woke up with a sore back,” one wife cries, describing her daily routine and lamenting about having “a thousand things to do before dawn”. Yet another Lagos husband has a different kind of pain to share: his wife serves him cereals for breakfast more than she does other meals he considers breakfast-worthy. “Flakes are not for black men—or any man for that matter,” he groans. 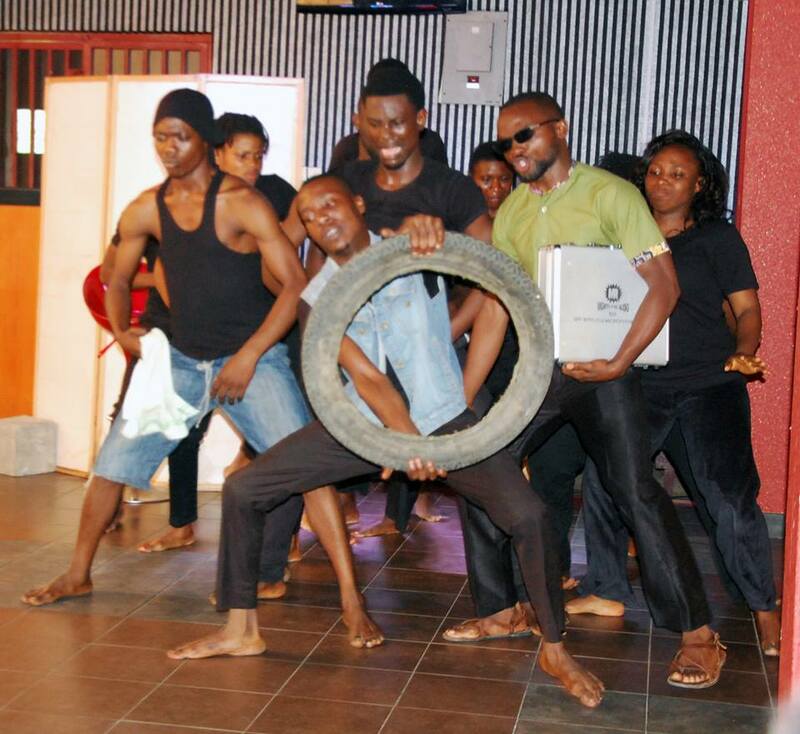 In-between scenes, Eko Dialogue is laced with music and dance carried through with raw, riveting singing. Some of that singing and dancing plays out in a church scene, where a pastor cajoles his captive audience to give their offering, because, according to him, “special seeds stands for special promotion, blessings, and recognition form God”. With the sweet talking come sweet sounding prophecies and a long spell of speaking in tongues. In a Q & A Session that follows the play’s first outing, Joy Isi Bewaji says the stories which make up Eko Dialogue were inspired by some actual situations, some of them she saw while on her daily commute some years back and while stuck in Lagos traffic. “They are things we all see all the time,” she says. One particular instance of that approach is realized in the part of the novella where the author talks about a long “wedding list”, which among other things includes: one live pigeon, an Elephant trunk, scoop of sand from the bank of River Mississippi, a Hummer Jeep, N5,000 worth of airtime and a N20 bride price. 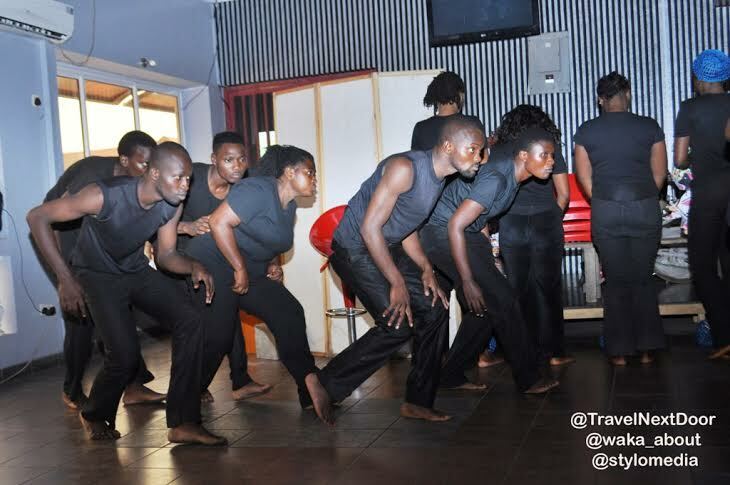 Crown Troupe of Africa was founded by contemporary dancer Segun Adefila in 1996 and specializes in total theatre. 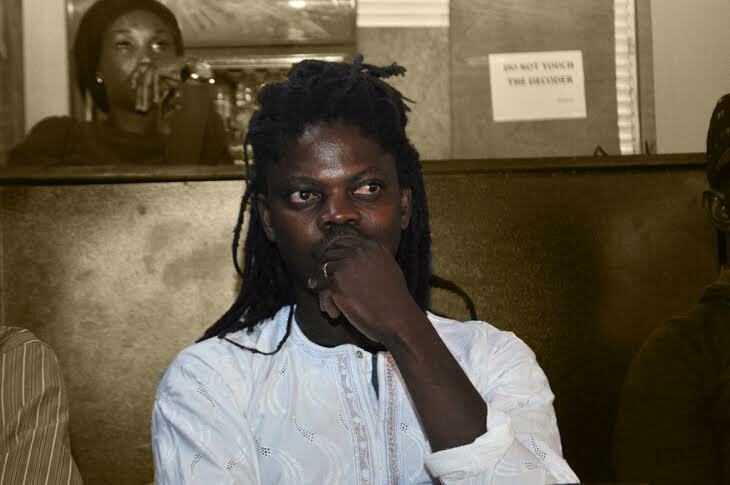 One of the few existing drama groups in Nigeria, the group is in high demand at various literary, diplomatic and government functions within and outside Nigeria. To see Eko Dialogue is to see Lagos in all its chaos and absurdities as well as its energy and charm. 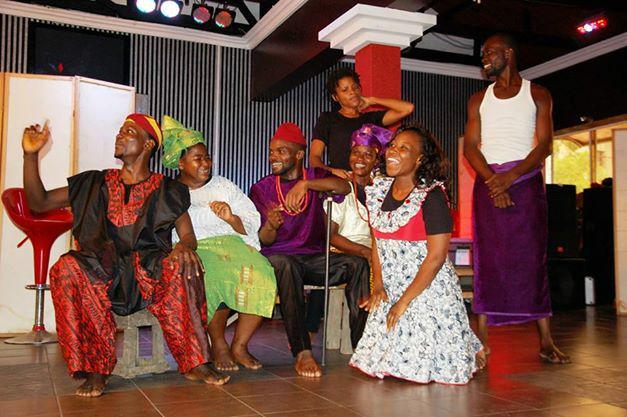 It is part comedy and part social commentary, and what I find even more dramatically appealing is that eight out of ten Lagosians are likely to see themselves in any of the many characters in the play.